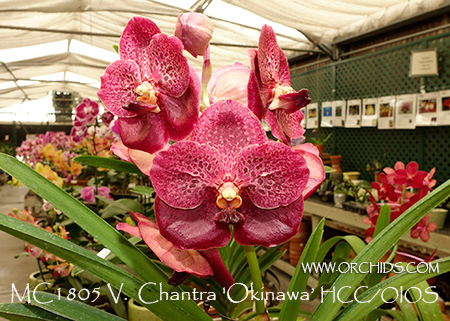 Awarded an HCC/OIOS at the 2011 Okinawa International Orchid Show, this clone also garnered the honor of being Reserve Champion ! Now available for the first time in the US, its breeding background is the result of a blue Vanda crossed with a free-blooming yellow Ascocenda. 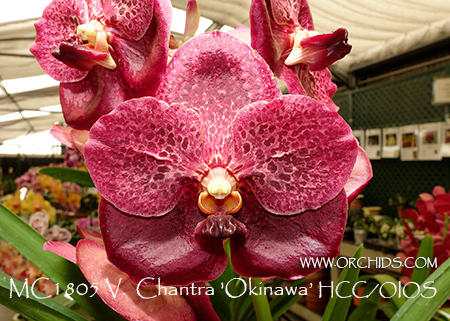 The result has been a beautiful display of almost 4” richly colored copper-burgundy flowers on compact plants. This clone can flower at least twice a year due to the influence of its pollen parent, Ascda. Suksamran Gold, which blooms 3-4 times a year in South Florida. 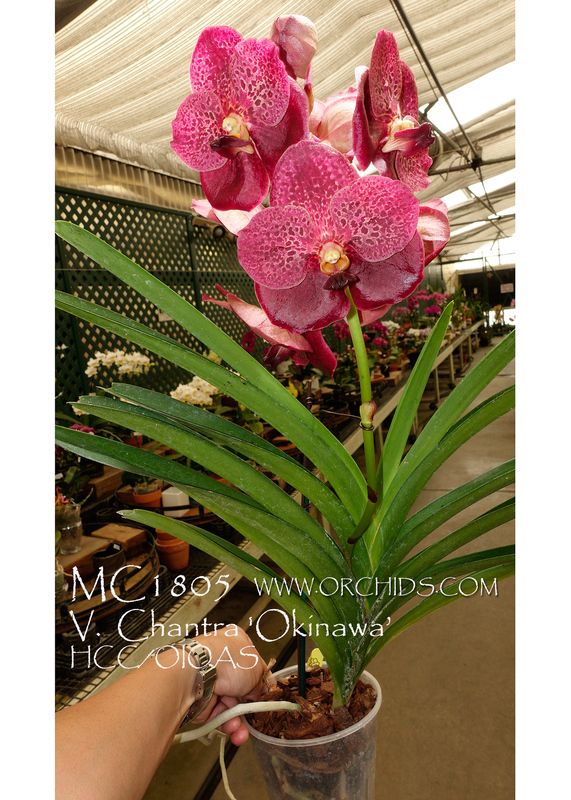 Definitely a must for every Vanda Collection !